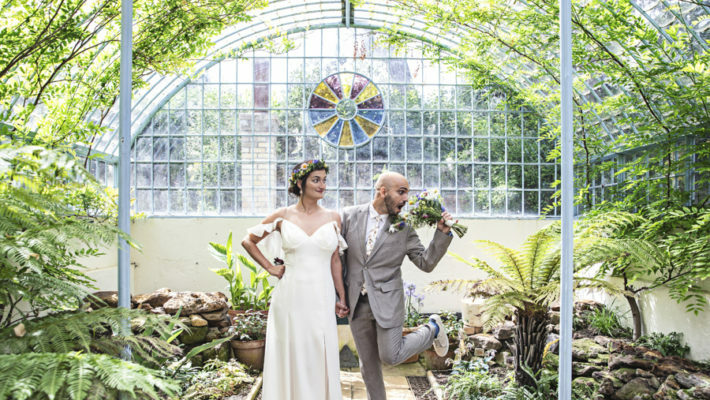 Ria and Jordan’s day is so prettily styled with the loveliest spring flowers – their barn venue is one I haven’t seen or featured on the blog before and I’ve fallen head over heels for this place – I hope you will too! 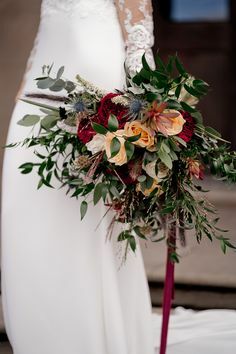 My wedding flowers were simple and pretty! I was showing my auntie one day what I was thinking of doing just in general conversation. 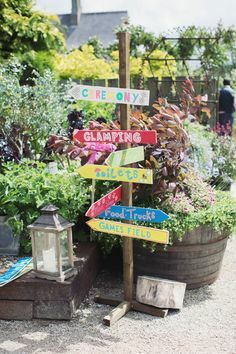 (She is not a florist, but we all call her green fingers as gardening is her favourite hobby and she has an allotment!) She suggested I could do them myself so I asked her if she would help and luckily she did! People kept asking all day who my flowers were by! 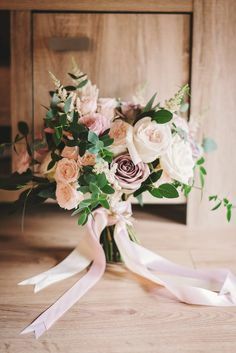 My bridesmaids had simple gypsophila which my auntie also made, I had my bouquet made by Robert in the flower station in North Chingford London. It was just perfect. 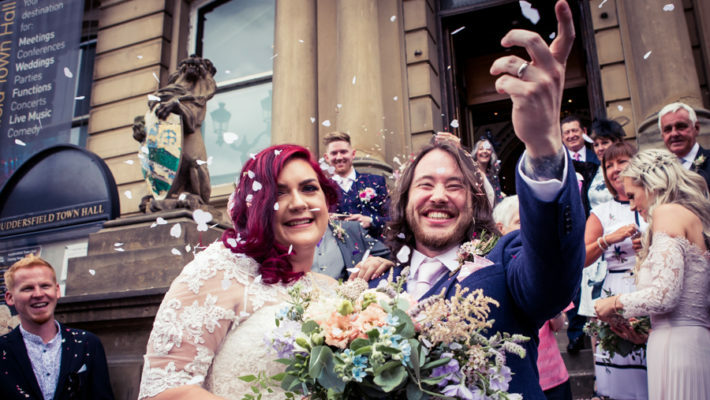 Hannah and Terence had decided throughout their planning that they wanted a very relaxed day – they weren’t fussed about formality or traditions, they simply wanted a day of celebration. They managed to do this so well, the whole day felt very natural with real joy. It was a beautiful day, but so cold and Hannah and Terence were real troopers going outside throughout the day so I could do my thing. 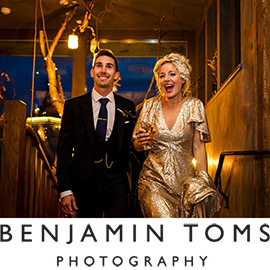 I loved that Hannah wanted to keep Terence’s jacket on for their portraits – it made it feel completely real. So we opened a shop! Hello lovelies! I hope you’re having a really good week. 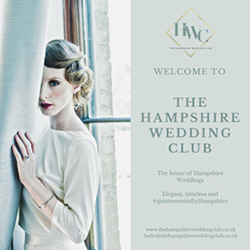 Spring is here at last, and with it the exciting news that the English Wedding Blog SHOP is now open!! We’ve been working really hard behind the scenes since – ooh – Christmas?! – to bring you our brand new shop, and it’s all up and running, ready for business! 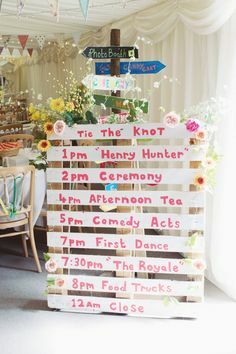 The English Wedding Blog Shop brings together all of the things I love. It’s early days and I plan to add more lovely things for you to buy soon. 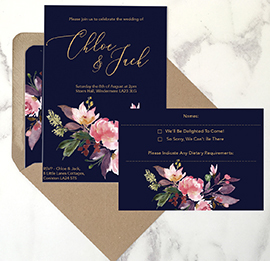 You can shop for wedding invitations today – these are close to my heart as they’re designed by my beautiful illustrator friend Amy Swann and feature my calligraphy (I’ll even address envelopes for you if you’d like to hire me!). I hope you love shopping with us – keep checking back as we add more lovely bits and pieces in there. 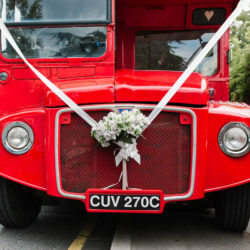 Suggestions for anything you’d like to see and buy in the English Wedding Blog Shop are always welcome! I love this. I love that there’s a line of beautiful maternity wedding dresses from London, designed especially so you (and your bump!) can enjoy the most amazing wedding day. 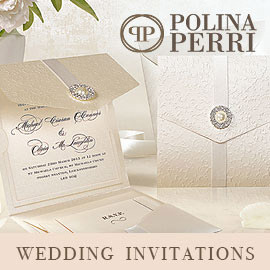 You’ll look like a million dollars; you’ll feel like the glamorous bride you want to be. Tiffany Rose‘s new bridal collection for Spring Summer 2017 is designed and made in Britain. The collection debuts a luxurious bridal jersey in smooth ivory, which is beautifully soft, heavy weight and offers a hint of silky sheen. 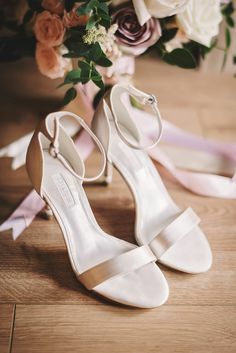 With a focus on supreme elegance, romance, beauty and comfort, their new styles include a mix of luxurious laces and silky premium jerseys – the perfect combination for pregnant brides. Tiffany Rose have launched an innovative new nursing wedding dress, allowing mums to breastfeed on their most special day. Alongside maternity wedding dresses, they also have a new selection of beautiful bridesmaid dresses in pretty floral prints and blush lace. 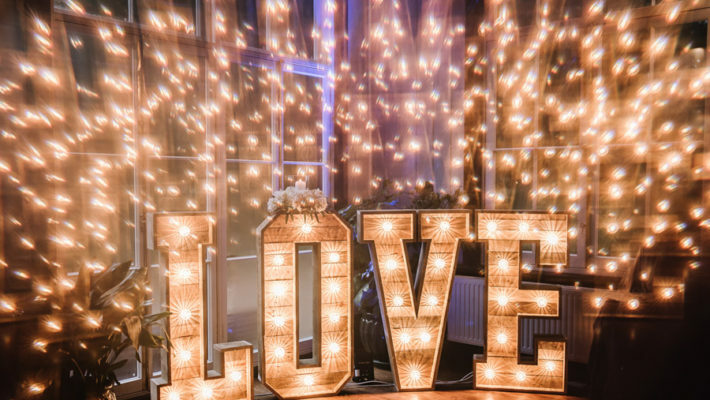 I’ve fallen head over heels for this enchanting winter wedding. 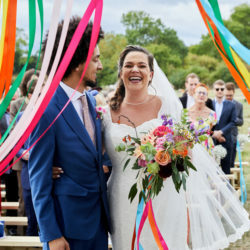 Katie’s Jesus Peiro dress is fabulous – she’s truly radiant in every shot and the dress fits their elegant, minimal style so beautifully. 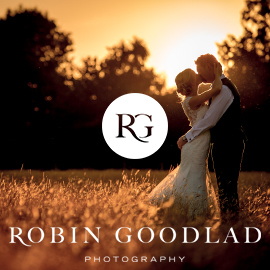 I love the rays of sunshine and how magical the early evening portraits look – and the little details for your Pinterest boards make this gorgeous day a perfect English Wedding Blog feature. 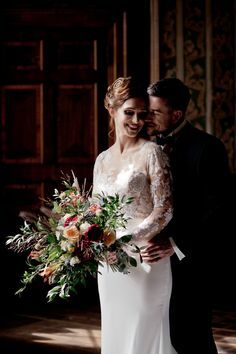 I originally headed to Marrime Bridalwear to try on a Pernovia, long sleeve, backless dress, so to finally leave with a halterneck and full skirt Jesus Peiro dress was a complete surprise. I would not have even considered the dress on the hanger, if it wasn’t for my mum and bridesmaid. Reluctantly, I tried it on; yet, it was the only dress that resulted in numerous tears and a huge smile. It even had pockets… I was in love! Moral of the story: your mum and bridesmaid really do know you best. 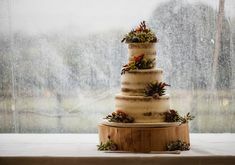 More than anything else I value true craftsmanship and style in the wedding industry. Mass-produced, bland styling touches turn me cold… but show me breathtaking style from independent designers and I fall head over heels in love. Today’s wedding inspo comes from the very best: creatives, artisans and designers whose work I truly adore. 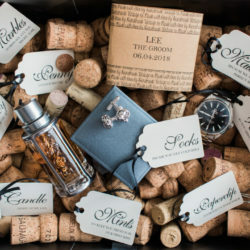 A few simple – but beautifully crafted – details can go a long way on your wedding day. 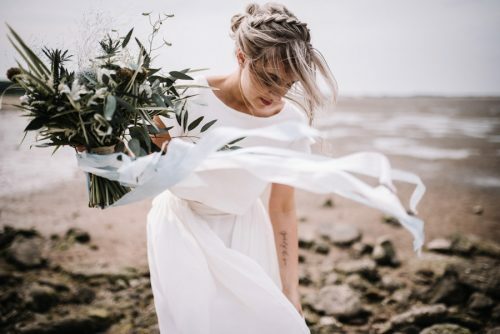 Choose statement pieces and use them sparingly: a stunning dress; a unique and different bouquet and hair accessory – these are the details which will make you feel incredible and ensure your day is truly special. 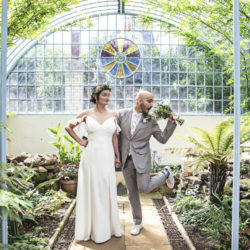 The blue dress is Eden by Claire Pettibone – a stunning favourite from her beautiful Couture Collection, supplied by Yorkshire’s White Room Bridal Boutique. 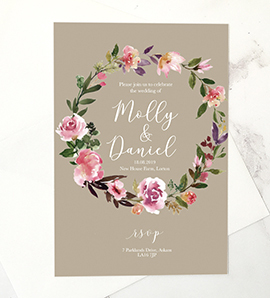 Paper magnolias and the stunning floral hair accessories are by designer and illustrator Amy Swann. 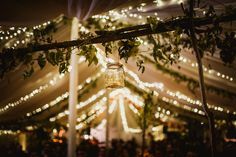 Wedding DIY in 2017 is nothing new: we’ve all seen mason jars, glitter craft projects and yards of homemade bunting. 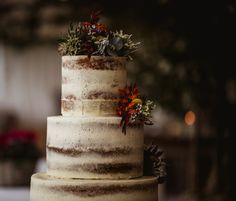 But the trend is becoming more focused, with a nod to artisan design and true craftsmanship – simply wrapping everything up in hessian and lace is beginning to look just a little dated. 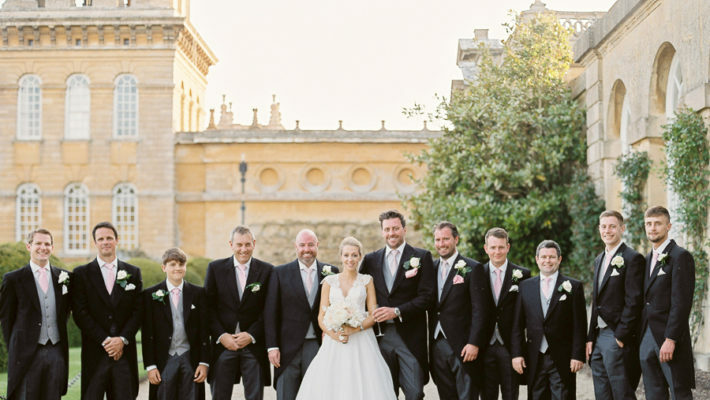 The latest wedding style trends are all about skill. We love the abundance of flower workshops all over the UK. 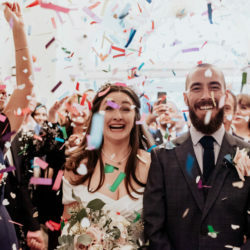 We’re excited by crafty hen parties, silversmithing workshops and brides and grooms who embrace a new challenge for their weddings. 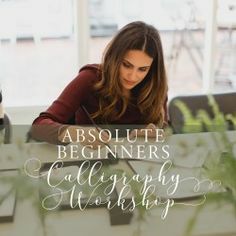 But our favourite simply has to be calligraphy. Did I ever tell you how much I adore flowers? 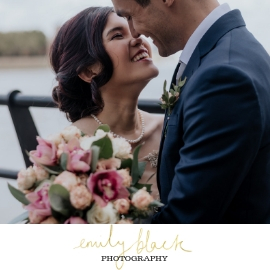 If I could spend my days surrounded by this kind of pretty I’d be in heaven… I’m so so lucky that my work involves beautiful imagery landing in my inbox every single day. And I’m thrilled to be sharing images from Charlotte Balbier‘s Untamed Love collection with you today. These are gowns with a fresh, new and exciting style – a wonderfully creative evolution of the Charlotte Balbier brand. Floral prints are huge for 2017 & 2018. We love a bold statement – and the floral fabric of the Untamed Love and Bloom dresses are just out of this world. 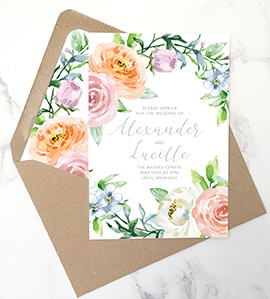 The beautiful collection is all very English Country Garden for the modern bride… and I can’t think of anything prettier, can you? 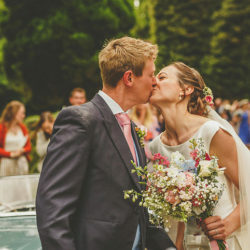 Today’s wedding is a blissfully sunny treat for your eyes… the images on the bridge are just so incredible, the light, the beautiful bride and groom – it has everything, it really does. 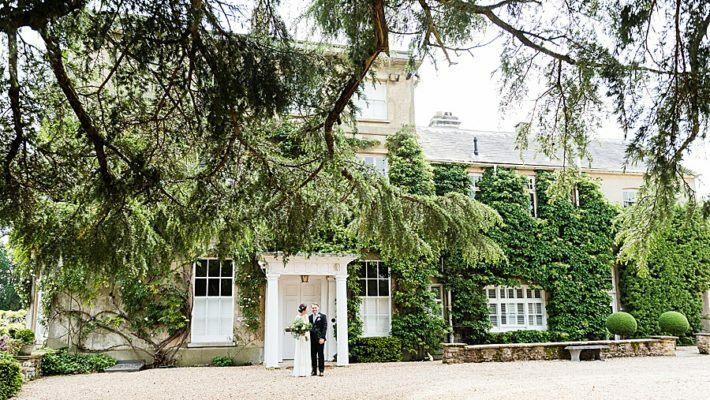 I hope you love today’s wedding blog as much as I do – what a wonderful location with beautiful imagery! 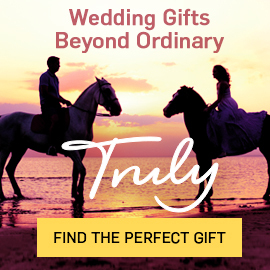 “Spend as much time together as possible on your wedding day – it goes so fast and it’s filled with so much love from everyone around you its easy to miss out a quite few moments alone together. I first met Stef on a late spring day at Aspire – she was perched on a hilltop pretending to eat a picnic, surrounded by a dozen or so photographers. My first time at an Aspire photoshoot was all kinds of amazing: I met so many creative folks who’ve been a part of my adventures over the last couple of years. 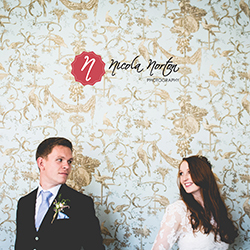 Since that magical day Stefanie has featured on the English Wedding Blog many times as model and make up artist. 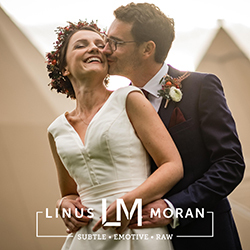 She was the cover girl of our Wedding Book in 2016; she’s modelled for some of my favourite bridal shoots and when I needed a make up artist for our ‘artisan romance’ photoshoot on Love My Dress, she was the first and only person I needed to call. 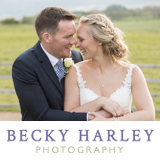 There’s something intimate about having your wedding make up and hair done – it’s so important to choose someone who’ll be a real pleasure to have around on your wedding day morning. 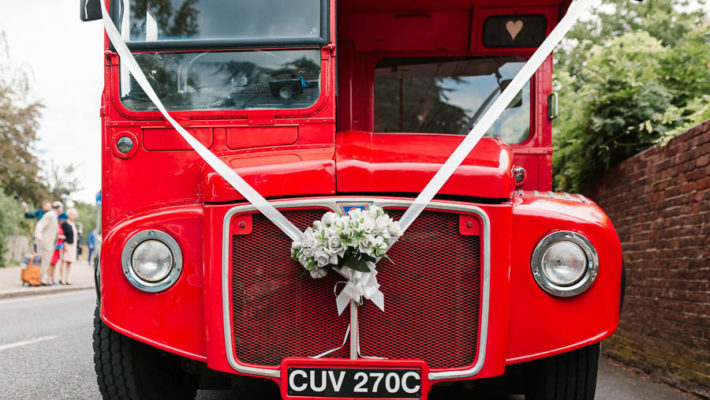 We never have a Wednesday lull on the English Wedding Blog. In fact we like to leap out of bed grinning, ridiculously excited for the day, and share the most amazing thing we can find on the whole internet. So, welcome. 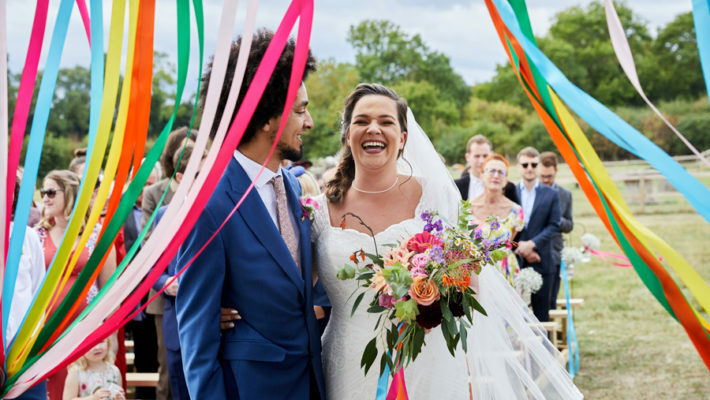 This is special and bound to brighten your entire week… Charlotte and Alex’s wedding is breathtakingly beautiful. 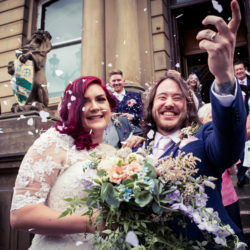 “I totally fell in love with my dress! The main dress was Charlie Brear and I knew as soon as I saw it that I would be hard pushed to find anything that suited me better. I loved going to the showroom as CB does lots of great separates so you can mix and match and get something really personal to you. I tried on lots of combinations but in the end bought the dress and then had the lace top made by the talented ladies at Forget-me-not on the Isle of Wight. 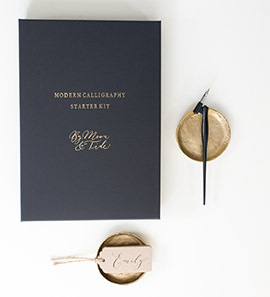 Introducing… wonderful, contemporary chic wedding stationery by The Little Blue Brush! 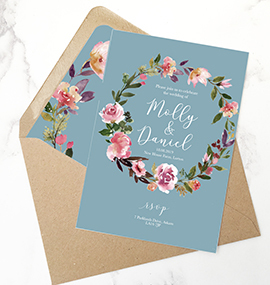 Before the wedding season is anywhere near, there’s a wonderfully exciting few months stationers like me will know as wedding stationery season. 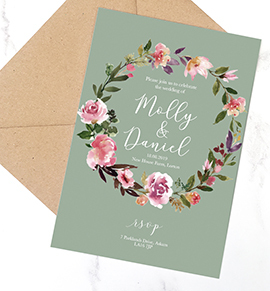 It’s a time when couples are counting in weeks to their summer weddings… and invitation designers are in their element, planning and designing the loveliest new bits and pieces for YOU to send out to your wedding guests. 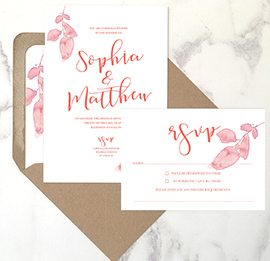 And it’s now – if you’re getting married in the summer, it’s time to start sending out those invites! 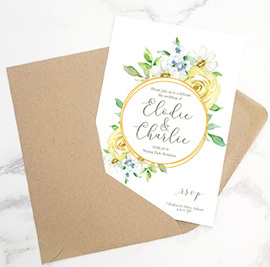 Of course, there’s a beautiful reason I’m telling you this today… I’d like to introduce you to an independent wedding invitation designer who I think you’ll love: Fiona from The Little Blue Brush is an artist, designer and passionate wedding stationery maker whose style is sweet, simple and perfectly on trend for the 2017 wedding season!